… I guess I should say my tiny dark room. So many things I need to bring when I go home for the weekend… another lamp, a dish rack, my make up… except going around with no make up has been kind of fun. I think people just assume I’m tired out of my mind and don’t bother me too much. So anyways, I just did non-impact stuff yesterday. AbRipper X (15 minutes. 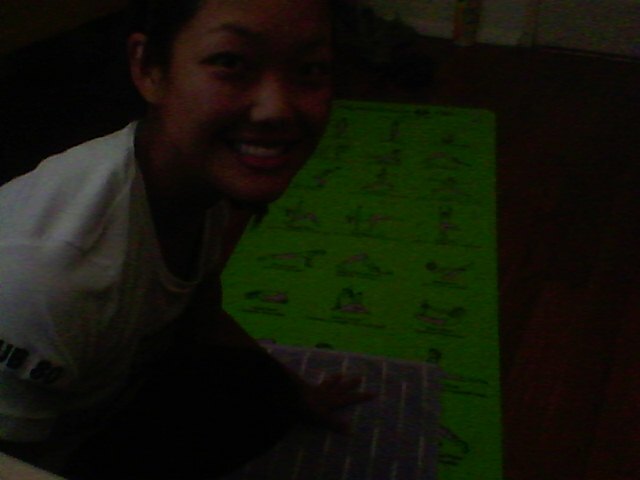 I skipped the stretching part in the last minute) and Yoga X (50 minutes. I start after they do 5 minutes of breathing or some crap and stop after the tree pose). Wouldn’t you know it… I got to get an incredibly sweaty workout in a tiny little space. Perfect non-running activity for me. It feels awesome to stretch out the backside and do a bunch of hip- and chest-openers. Okay, I’m a little off on my running schedule, so I’m kind of moving different runs around. On Monday, I was supposed to run a 1 hour fartlek. “What is a fartlek,” you say? Okay, what does my trusty book tell me about it? Oops. 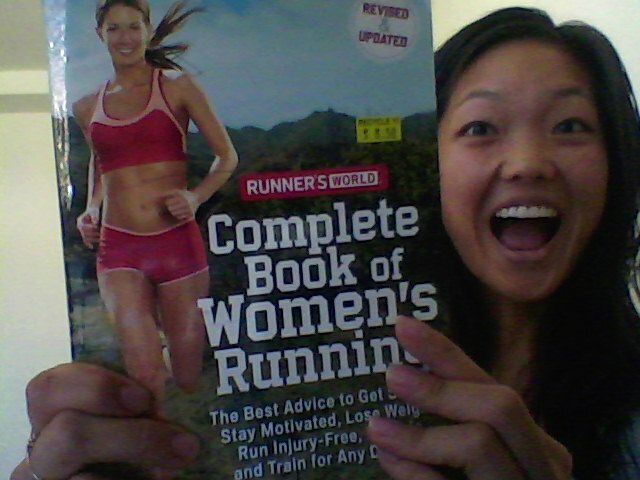 I kind of just sped up and slowed down whenever I felt like (which is okay to do, according to Runner’s World magazine. I did this work out on the treadmill because I wanted my legs to rest up from running on the concrete, plus I wanted to check out the nearest 24 Hour Fitness to campus. 7.50 miles in just under 60 minutes. I think I did some portions too fast? And my warm up and cool down were only around 5 minutes in the beginning and the end. No wonder I felt WIPED of all energy by the time I was leaving. It felt awesome though! Hopefully incorporating these faster running sessions can help improve my overall speed, especially for the 5K I have coming up in less than two weeks! I have some reading to do, then off to an evening class!